ddd14-1 How much pole shift. 2.5 degrees – so far. Will it go 30, 40, 90, 180 degrees – what?? EVENTUALLY 180 degrees, I THINK. Perhaps in a series of steps. I only think that this mentally sleeping world will have a VERY rude awakening – any time soon. The next few months should be HORRIFIC. ddd12-3 Pole Shift,etc.details. DO NOT MISS. VERY LATEST INFORMATION from me. The Earth is hollow, and there are two large hole entrances at each end. At The North and South Geographical Poles. So the crust of The Earth is sliding OUT of The Great Within – at The North Pole, and IN at The South Pole. Rock can bend over great distances. The Inner and Outer surfaces of The Earth – are back to back. There is an 800 mile thick crust in between. A much bigger event centres on The Galactic Alignment of 21.12.12. The effects of this are increasing. And some of what is happening is due to The Galactic Alignment. Solar flares,etc. should be terrible about 14.02.13. In addition to these things we have the likelihood of World War 3 starting up. (Possibly by a sudden surprise attack by Russia-China-Iran,ETC. In which the U.S. gets damaged. Presumably there is then a counter-strike. Plus Economic Collapse. And Financial Collapse. When Gold and Silver should be of great value. And the increasing failure of anti-biotics. Plus the hot patch in space. And the proton belt entered. ALSO the fact that EVERY DAY, the particle accelerator(the new one?) at Cerne is creating HUNDREDS of small growing black holes. These are creating huge explosions in space. I think too will come World Civil War. Against The New World Order, presumably. The ride ahead should be VERY rough. Especially over the next six months. My main point here is to warn of Stage Two of The Pole Shift. Expected any time. As Nibiru planet pulls on the Earth – and all else in The Solar System. The Solar Flares,etc. will knock out electric and electronic appliances, world wide, perhaps permanently. Though some humans will think this is an invasion(which it is not), and attack the aliens. Perhaps starting a war. Annunaki aliens, up to fifteen feet tall, are expected. They fancy our women. Trouble is that some will be invading homes and otherwise stealing what has been stocked up by others. I gather that up to SIX BILLION humans will die, very soon. As Nibiru gets closer, it will WAFT up and down, and RED DUST will increasingly fall. First it(Nibiru) should appear like a large red full moon in the sky, visible also in daylight, any time now!! What I am telling you is not fantasy. So PLEASE be READY!! I am giving you the best picture I can. In the event, details may vary a lot. So don’t take me TOO literally. Yes. These are The Last Days of this Age. (There are TWO ages, and many cycles terminating soon(21.12.2012. )(British notation.) There is the 6,500 year Quarter Cycle of The Sun(The sun is disturbed largely because of Nibiru, but also The Wobble and The Galactic Alignment!!). 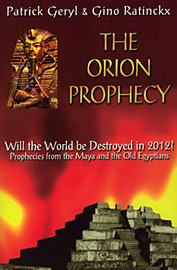 There is too the termination of the 3,600 year cycle(Of Nibiru’s visits). Also on 21.12.2,012. The Earth will be greatly changed. Expect a rise of 625 FEET in sea level. Get AWAY from THE COASTS and the river sides!! Get away from the cities. As many will go BESERK!! I advise: Get into the wilderness. But take care as animals,etc. will be crazy too!! Also what is happening, IN ADDITION to the crust slipping around the globe, is the tilting of various tectonic plates – all over The Earth. Creating peculiar view anomalies!! Beware of the increasing(as soon as Nibiru appears large in the sky)RED DUST. It will get into EVERYTHING. Air, water, crops,homes(seal them up in good time!). It is poisonous. Being ferrous and ferric oxide. Two iron oxides!! Much water will turn red. Poisonous water. Drink it and you risk death. This red dust is coming from Planet Nibiru. Is present in a HUGE BALL around that planet, and also in a HUGE TAIL. This tail is PRECEDING Nibiru. And we have been in this tail off and on(because it WAFTS up and down) since about 2,000.A.D. Nibiru has six satellites, PLUS the star war ship. Actually Nibiru is the small object. Herbulosis is the big one. Perhaps Nibiru is a satellite of Hercolubus. Being very tentative here. Planet X may not be Nibiru! 3. The star warship. Flag ship, being used by Annunaki aliens. 4. This asteroid which is on a 3,600 year orbit. I think a lot of this is being deliberately put up – to confuse us, – and try to keep Nibiru a secret from the people. There is an AWFUL LOT of material moving around up there. They are there(here) to save and help us. SOMETHING is happening alright. The full details of which, and the picture thereof – are rather hard to grasp. Due to various reports. And the confusion data put out by NASA,etc. The skeptics are VERY wrong! The policy of silence and denial by the world is making it VERY difficult to get a sound clear idea of what is happening. This is very sad. As the people definitely NEED this! Prepare to VERY rudely awakened VERY SOON now!! We are going to need SHELTERS, bunkers, trenches,etc. So there you have a better picture now, folks. DISTIL(Zeta advises) this red water, as nearly all water will be red, soon. Condensation should work too. Boil to produce the condensation. But drink the condensation, not the boiled water! I think that The Yangstze,etc. were red due to this red dust from Nibiru. Alas comparatively few people know anything about what I am mentioning. It is going to get UNSPEAKABLE. The World Media,especially in The West, is silent or in denial. The skeptics rave on about what they know NOTHING of!! PLEASE be READY!! Not long to go now!! Once in The Spirit World – head for The Blue White LIGHT. Prayer to GOD is good! Try to stay in constant Meditation. And TRY to Ascend. ASCENSION. I mean, in particular VIBRATIONALLY!! RAISE YOUR VIBRATIONS!! By prayer, beautiful music,etc. Aliens and alien creatures should increase from now on. Also more and more animals are going to get lost – disorientated – despite electro-magnetic guidance within – and die. Birds, fish, land animals, etc. Compass bearings are going to change. In jumps. A Polar or Pole SHIFT. Only of The Earth’s CRUST. And various TECTONIC PLATES!! So different places will have different results!! I am being patchy, I know. But getting it across to you as best I can. We have The Earth tilted 22.5 degrees(is it?) on its axis, as usual. That is not changing. But what IS altering. In jerks, periodically, is that THE CRUST of The Earth is SLIDING around. In and out of The Great WITHIN!! I am concentrating on knowledge, not grammar,etc. here. So please excuse and allow!! Sacrificing these things TO GET IT ACROSS TO YOU. Then check on The Internet! Look up on Internet videos, get much information there. But allow for different angles of view. TRY to weave into one picture! IF you can!! Keep ABSOLUTELY calm. Help those who know less. Many, most, know little if anything about this. Remember that!! Yes, many will go mad. A broader view of PlanetX,Nibiru. Bill. ddd8 STILL MORE on Nibiru,etc. Nibiru is a name(of an old Sumerian minor god)given to Planet X. (10) Twelfth object of Solar System. (Counting sun and moon.) Eleventh if we discount Pluto-Charon. Someone has said that Nibiru is not Planet X. Because it is a Flagship. IS that correct?? We have Nemesis, a twin of the sun, way out. Other important objects, way out, are Sirius, Sirius B. (Apparently Nibiru is approaching us from Leo.) Then there is Alycone, central star of The Pleiades. Further out we have The Outer Pleaides. Coming in, nearer to us, there is The Dark Star, which may be The Brown Dwarf, then The Nibiru Complex, with Homeward one of its moons(Home of The Annunaki aliens? ), one of its six moons, not counting Nibiru. Whether Nibiru is Planet X or not – it is approaching us, and will come VERY CLOSE soon. It will look like a large red full moon when it suddenly appears any day now. September 26th,2,012 is one date. With a passing close to Earth on November 21st, 2,012 forecast! That will do TERRIBLE damage. Ending this civilization. This is quite a complex subject. I only know that Nibiru and its satellites,etc. is VERY real. Iran would do awful damage. Without Russia, RED China,etc adding to it!! The next six months should be INDESCRIBABLE!! You are currently browsing the vicsesoterica blog archives for September, 2012.